Hotel King Haridwar offer good quality and a tinge of modernity in accommodation at budget cost. All modern services and amenities are provided so that the guests from all walks of life enjoy their stay with us. Apart from the services, an ideal ambiance soaks the guests completely and ensures them value for money. Hotel King is the most centrally located hotel, situated in the heart of the city Haridwar. Just a walking distance from Haridwar Railway Station or Bus Stand and one K.M. from main Ganga Ghat - Har ki Pauri. 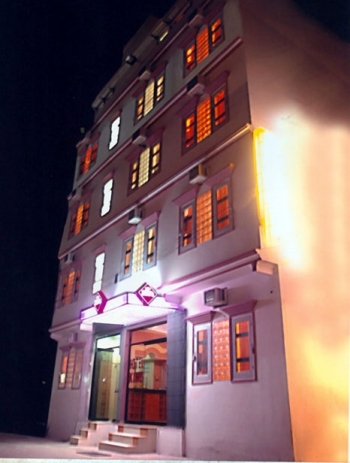 Staying will centrally become a pleasure and you will look forward to stay in this Hotel. 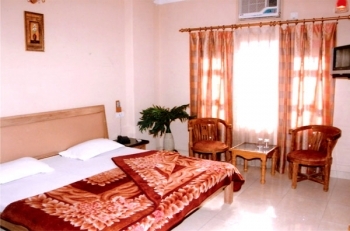 The hotel has 20 rooms of Double Bed AC category in Hotel King. All the rooms offer commfortable accommodation to its guests. - AC, Cable T.V., Intercom Facility, Sofa Unit, Attached bath with 24 Hrs. running hot and cold water. - In keeping with our hightend security procedures we request you to provide your photo-identity proof while check-in . - Foreign nationals are required to present their passport and valid visa. - Indian nationals can present any one of these,which is mandatory:Passport , Driving License , Voter ID Card , Pan card or Credit/Debit/ATM card bearing the holder’s photograph.